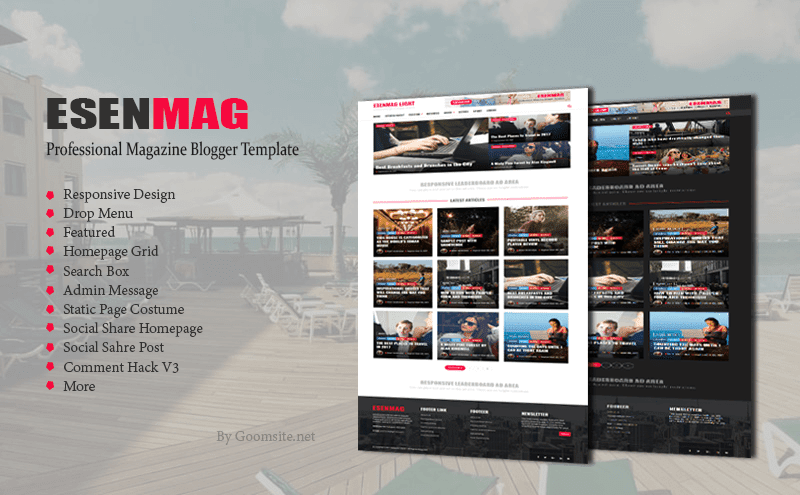 ESENMAG is a blogger template platform with Magazine style, with a clean and super flexible look and really reactive bloggers theme, a well-organized Responsive Blogger template for MAGAZINE, BLOG and News sites. More suitable for sites, news, blogs or more. It's very responsive, adjusting to a lower screen size to higher resolution, equipped with modern design, speed, optimization ads and many advanced features. We have a strong focus on content and legibility as it is very important for all website owners. Of course, this is highly optimized for better SEO results.